An enterprising and successful hydrology researcher for his time, Robert H. Burgy was an academic researcher from the Dept. 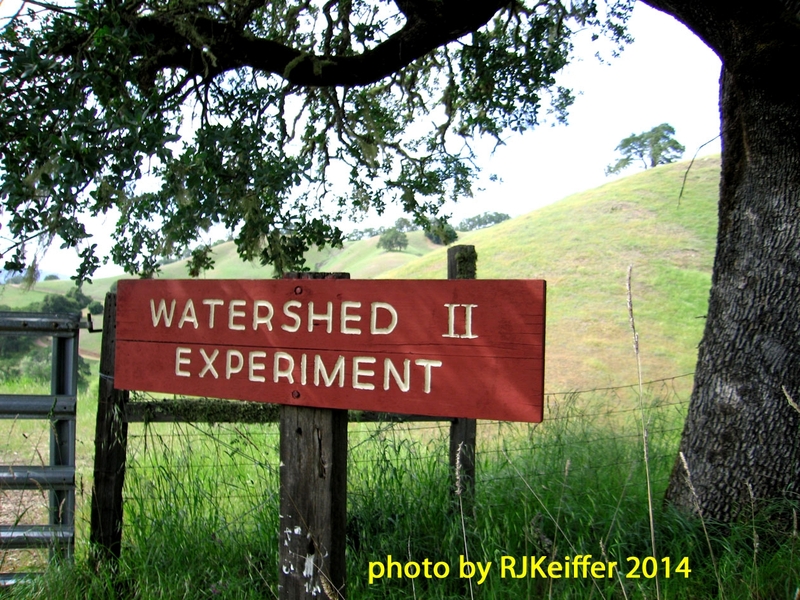 of Water Science & Civil Engineering at UC Davis back in the 1950s and 1960s. 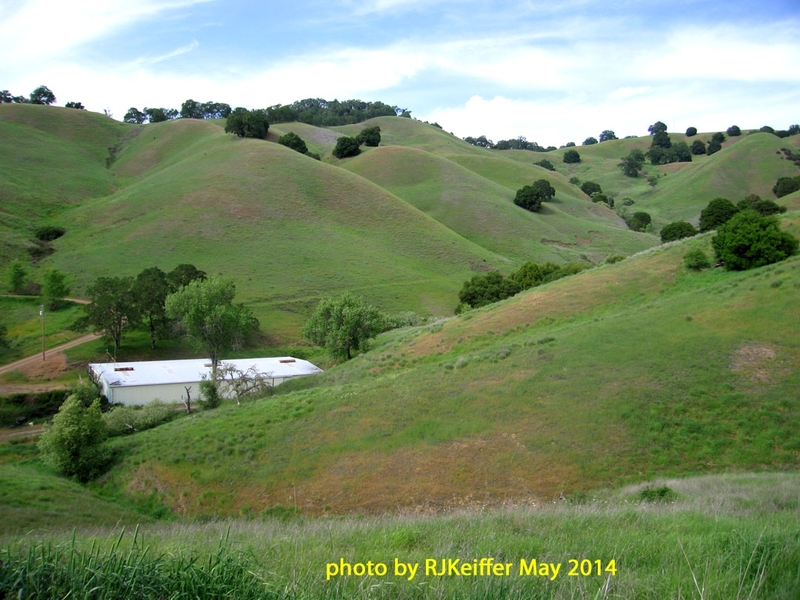 Burgy conducted numerous field experiments at the UC Hopland Research & Extension Center (then known as the Hopland Field Station) between the years of 1957 and 1971. The largest, boldest, and most well-known of the experiments was the "Hopland Experimental Watershed II" which was a prescribed burn conversion of a 210 acre drainage from oak woodland and brushland to grassland. The conversion burn occurred on July 20, 1965, after 13 years of preparation to herbicide all of the woody trees, build a sediment catchment basin near the bottom of the drainage, and collect baseline data. In those days many land managers considered oaks as "weeds" and the emphasis was on creating rangeland that could produce higher yields of grazable forage (i.e. red meat). Nine times more forage ( and livestock in the form of sheep) were produced annually for many years after the conversion ... and the small 210 acre watershed is still, to this day, primarily open grassland and forbs. Public views on oaks have changed over time and the importance of oaks to wildlife, sheep management, soil-holding capacity, etc. are all recognized now. The sediment collection basin is still intact, and is still covered by a metal building which HREC staff refers to as "Burgy's Palace". 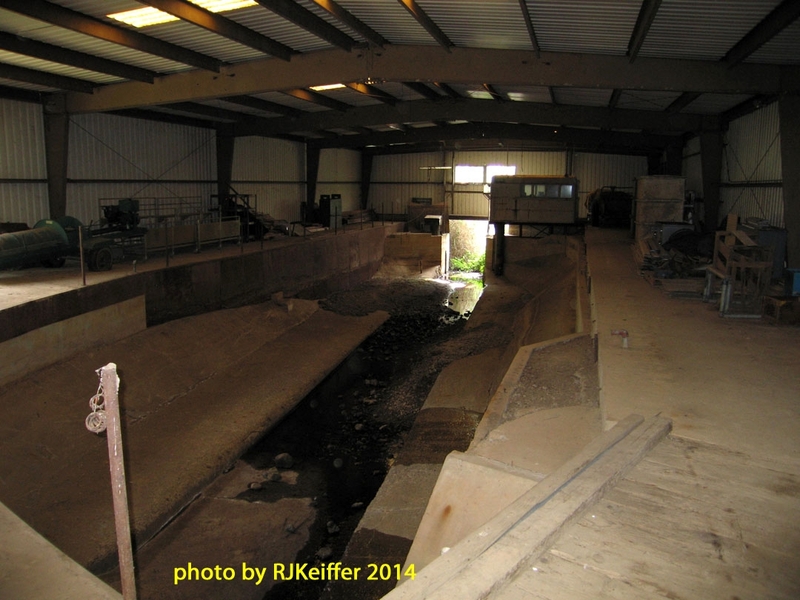 In the photos you see 1) the pasture name, 2) "Burgy's Palace" building and lower watershed, and 3) an inside view of the covered sediment catchment basin. The watershed and facility could provide great opportunities for further, current hydrology research if the right researcher comes along.